The most legendary Flesh Eaters line-up – Chris D, Dave Alvin, John Doe, Bill Bateman, Steve Berlin, and DJ Bonebrake – back with a full scale reunion for the first time in decades! 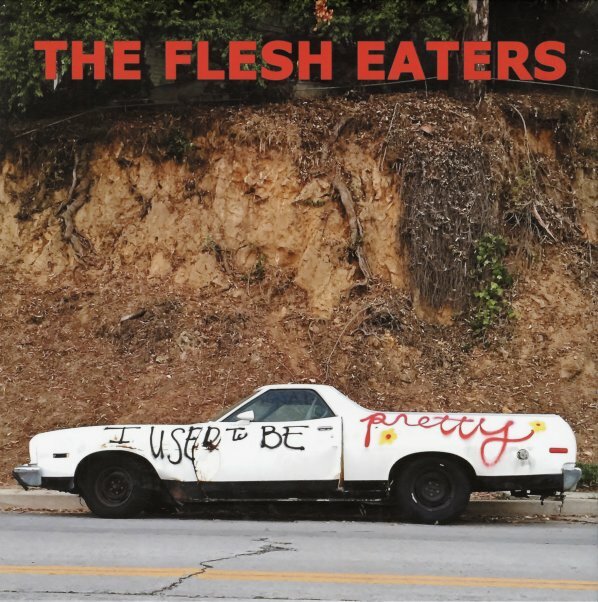 Now as much as ever, The Flesh Eaters are a vessel for Chris D's smart and serious lit quality punk poetry, with macabre lyrical themes that give it a dark, distinctive edge. And what a vessel he has with these seasoned genre-defying legends from X, Los Lobos and The Blasters, all seemingly invigorated here, especially Alvin – who must love putting aside the rootsier vibe of his solo work and The Blasters once in a while – and Berlin and Bonebrake on bringing in some cool noirish R&B sax, marimba & percussion. Titles include "Black Temptation", "House Amid The Thickets", "She's Like Heroin To Me", "Miss Muerte", "Cinderella" and lots more. It gets better the deeper into the tracklist you go, too...these guys learned thing or 2 about pacing over the years! © 1996-2019, Dusty Groove, Inc.